Working at Gruber Logistics - GRUBER Logistics S.p.A.
From the very beginning our employees have been the driving force in reaching together the challenging goals we have set for ourselves. We firmly believe in every single employee’s professional and personal success as the basis of what we can achieve as a company. This is why we are aiming to grant every employee space for his or her individual development. 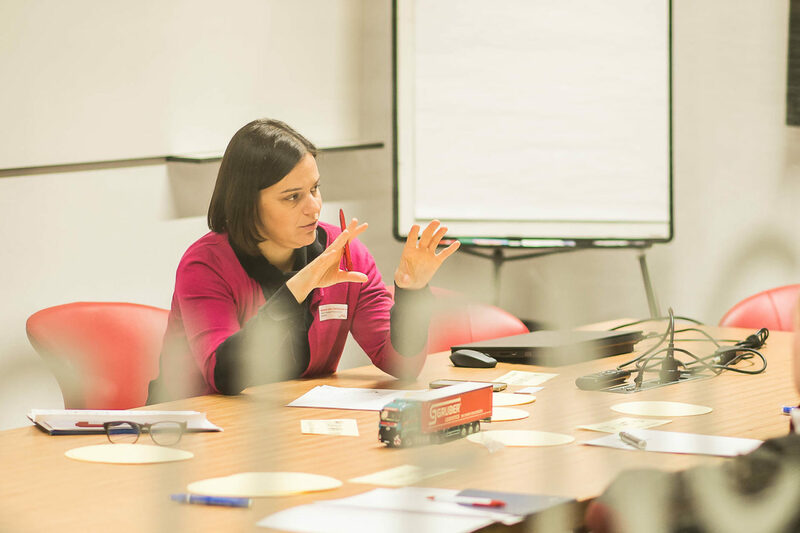 We encourage our employees to gain further education and training, support them in their professional growth and are rewarded with our employees’ loyalty. The respect for our employees and their loyalty towards the company are the ground for a productive working environment. This makes us an attractive employer for all those who want to actively shape their workplace. ”GRUBER Logistics is the point of reference for all those who want to give new impetus to their careers and to personally contribute to the company development. Together we define our objectives, together we decide on the way to achieve them, together we celebrate our successes. The balance between work and private life can only exist if it is supported by an optimal learning environment, which can stimulate the continuous development of each employee’s professional skills. These are the certainties that we try to offer our employees every day. 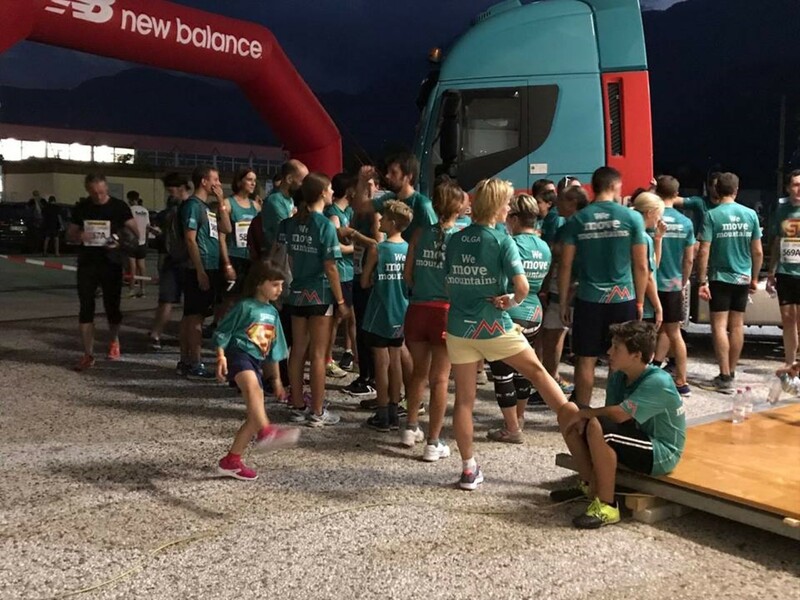 We take care of our employees with a series of initiatives aimed at promoting their well-being, not just within the company, but also outside it. 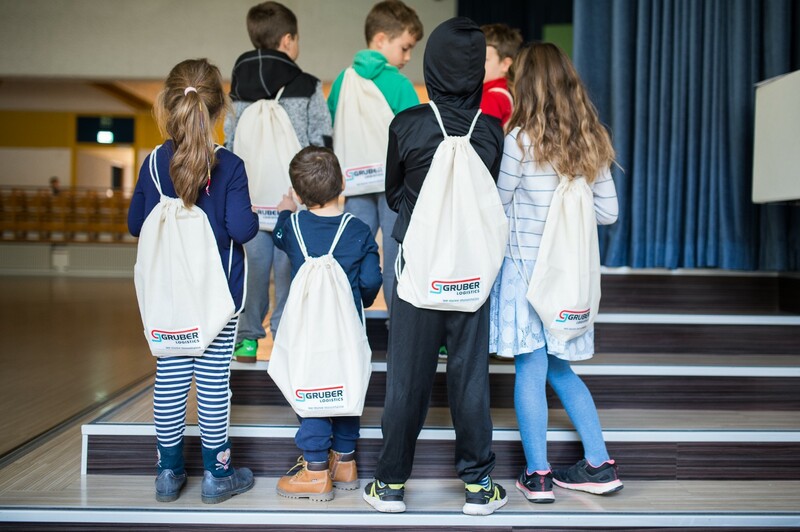 “We Care” is a wide-ranging project which also comprises the “Gruber Kids” initiative, which is dedicated to the entertainment of the children of our employees during their parents’ working hours. This initiative strengthens the bond between company and family, while also providing precious support to our employees. We encourage our employees to take care of their health by organising sports courses and company runs. 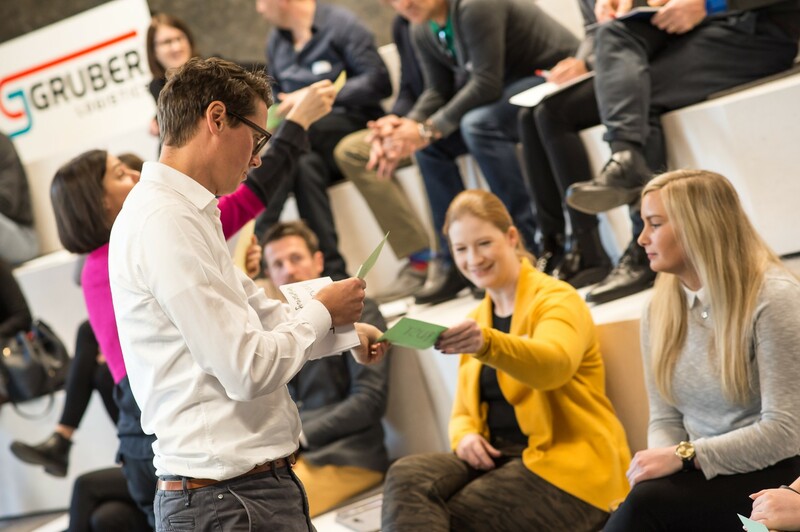 Taking part in sport together reinforces team spirit and improves collaboration among our employees. We care about the growth and development of our employees’ professional skills. We invest both resources and energy in creating a positive working climate. 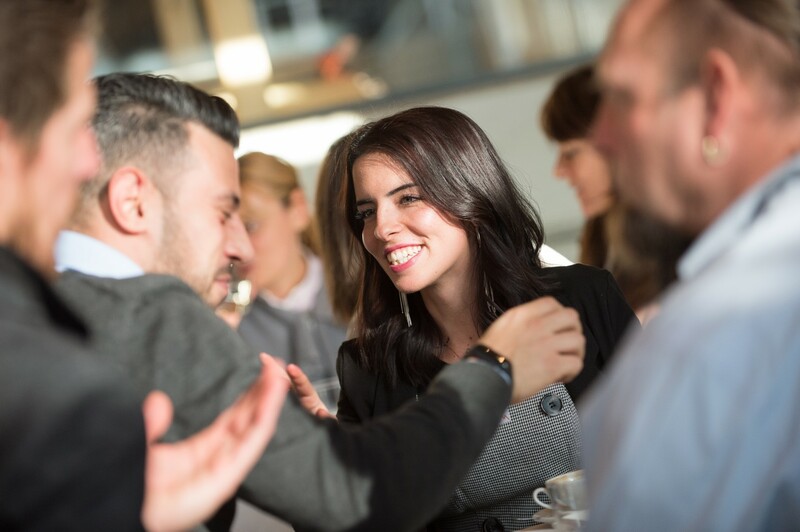 This is why we organise numerous company events and meetings with the employees of the various branches of the group: this way, we can get to know each other better and improve communication between us. ”I've been working at GRUBER Logistics for 35 years and I can say that I grew up with the company: I've seen it evolve year after year and adapt to the growing needs of both the market and clients, without ever losing the drive for. Over the past 35 years, I have held positions of every type and I have seen the department I now manage grow from just over 8 people to 25 employees of various nationalities! ”I've been working at GRUBER Logistics for 11 years and by now I feel like I'm part of a big family. This year, after having held numerous positions and putting myself to the test in different departments, I was promoted to manager of the Bremen branch. Flat hierarchies and a flexible organizational structure offer great opportunities for growth for employees who have the desire to learn and propose new ideas. ”What I like most about my job at GRUBER Logistics is the opportunity to put myself to the test with ever-changing professional challenges, in which I feel I can concretely contribute to the company's success with the skills I've acquired over the years. My job is to assist management in specific projects: this gives me the opportunity to travel a lot among the different branches of the group and to learn new things every day. The word "monotony" does not exist here! ”GRUBER Logistics is a dynamic and constantly evolving company. What makes working here so exciting is the opportunity to frequently work alongside the Gruber family, which is involved in the company's day-to-day business. This aspect makes GRUBER Logistics a very human enterprise, always attentive to the well-being of its employees. Working closely with the Gruber family makes us proud and motivates us to do our work with passion. During my six-month internship at GRUBER Logistics, I had the unique opportunity to put into practice what I had learned from my university books. My supervisors immediately trusted me and gave me a great deal of independence in carrying out my daily tasks. Furthermore, I was able to get to know a young and international work team.